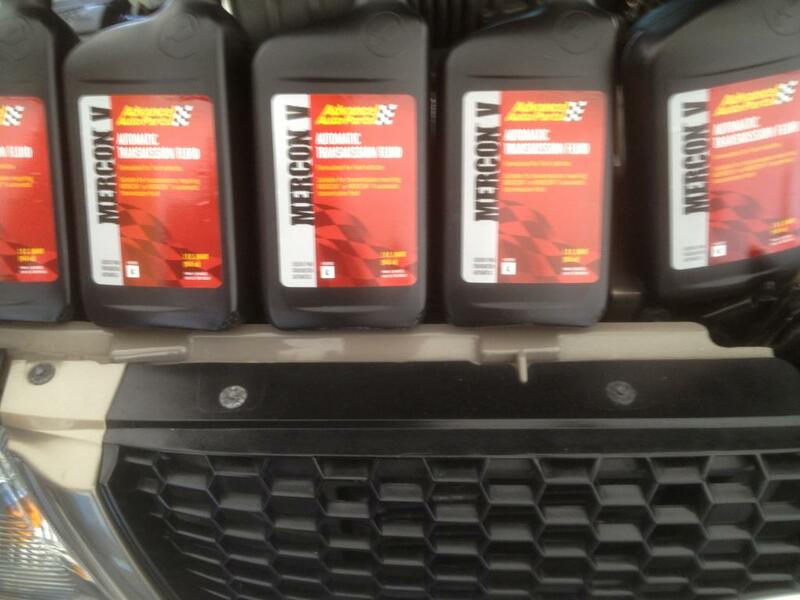 Time to change the transmission fluid in my '03 Ranger 4.0/5r55e automatic. I dropped the pan and changed the filter but decided to go the extra mile and do a "gentle" flush on the whole transmission also. I picked up 12 qts of Mercon V fluid. After dropping the pan and changing the filter I put 4 qts of new fluid back in. 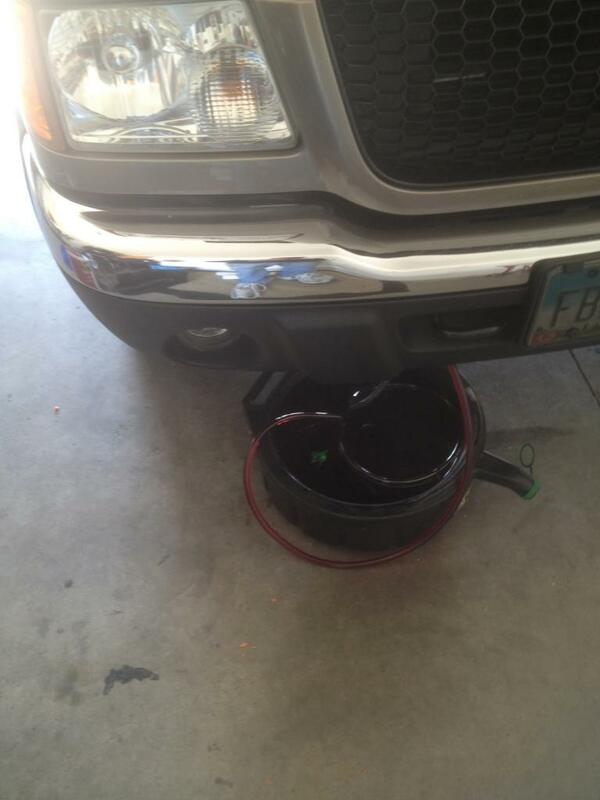 Next, go under the front of the truck to where the hard trans cooler lines meet the rubber lines going to the cooler. I removed the plastic cover/tray thing under there to make it easier on myself. Remove the hose clamps, pull of the rubber hoses, and use some clear 3/8" ID vinyl tubing. Fits perfectly over the hard lines. Keep a drain pan underneath this because the cooler will drain out some fluid. 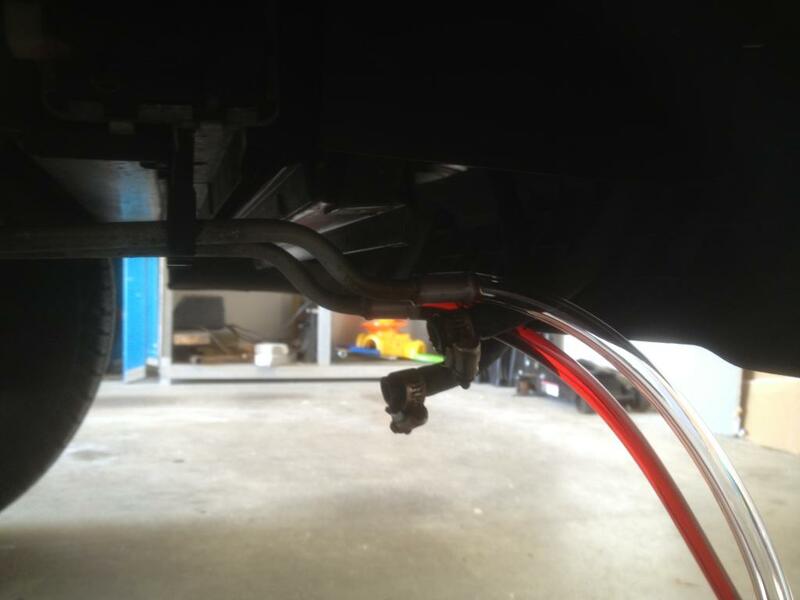 I wasn't sure which line would pump fluid once the truck was started but it turned out being the one on the left, closest to the driver side. I put the vinyl tubing on both sides to be safe. 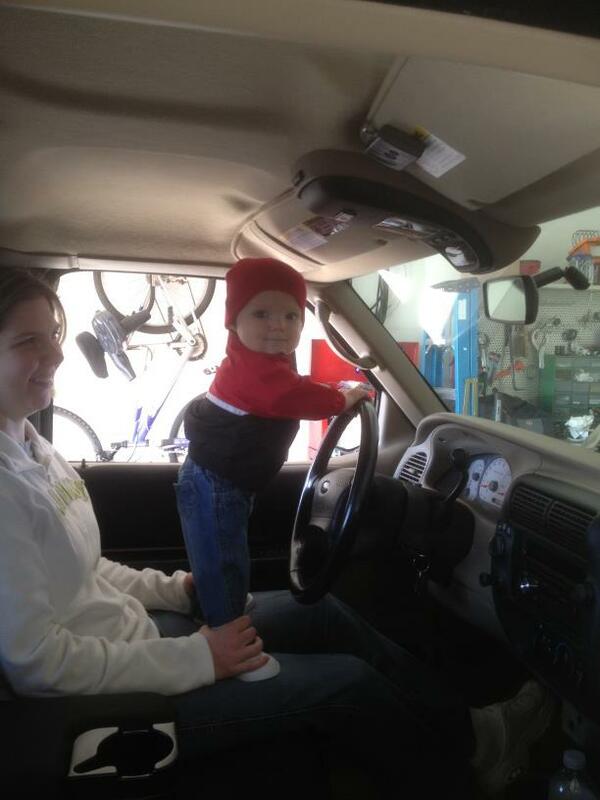 Now get a helper (in this case my wife and my daughter) to start the truck. I measured and marked out quart levels in an old milk jug to keep track of what was getting pumped out of the transmission. I had the wife start the truck, pump out 2 qts, turn the truck off, and then refilled with 2 new qts. Repeated 4 times I got 8 new qts in plus the 4 qts I had replaced with the pan drop and filter change. By doing 2 qts at a time I didn't risk running the transmission dry and sucking in air. By the end of this process nice new clean fluid was coming out and the change is complete. I then idled the truck to get it warm, ran the shifter through all the gears (P, R, N, D, 2, 1) and checked and rechecked the fluid level and then took it out for about a 20 mile drive. Bring it home, check the fluid level again. Successful job! 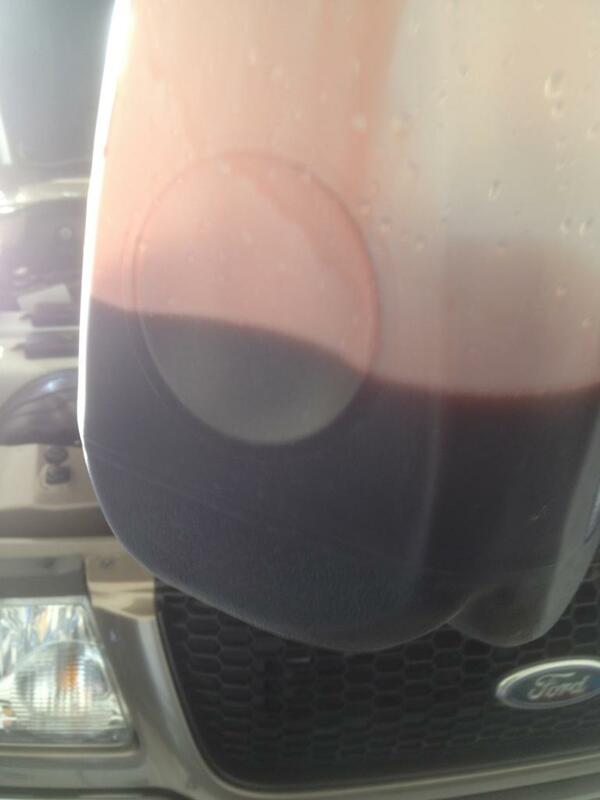 Since my truck only has 64k miles on it, I was not worried about ruining the transmission by doing a large fluid swap. 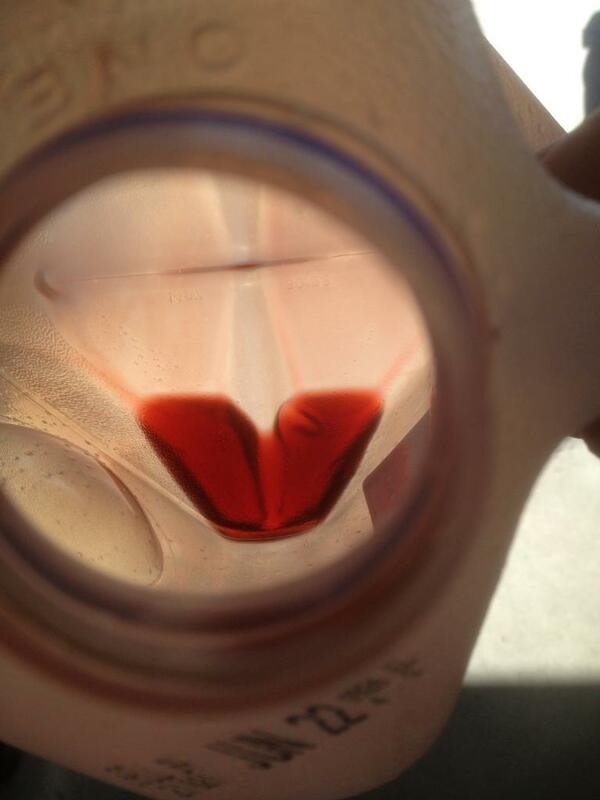 The trans fluid that was in the truck was still fairly good looking and didn't smell burnt or anything. Not sure if it was the original or not. 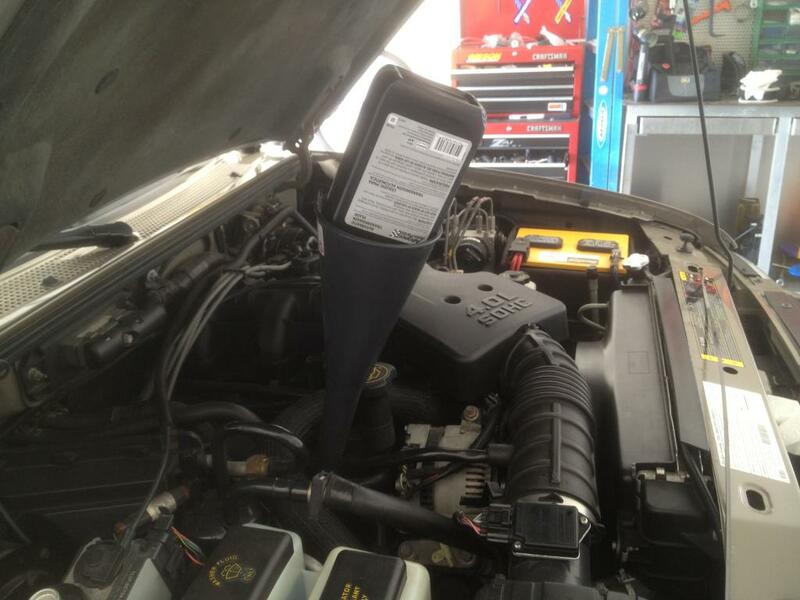 If yours is a higher mileage truck and the fluid has never been changed I would maybe not mess with it or just do a pan drop and filter change. Its obviously at your own risk! !